Establish an employee Internet usage policy at your office. 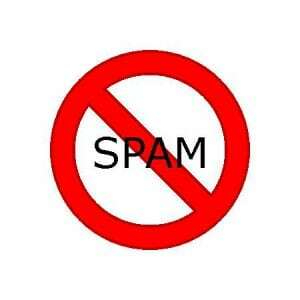 This is one of the most useful steps in protecting your company from spam and subsequent cyber-attacks. It should include guidelines on things such as general security, acceptable Internet use, the use of personal equipment and desktop services security. Make sure all employees sign a copy of an employee Internet usage policy and review it yearly. Source: ABEX Insurance. Contact Mitchell Sandham Insurance for more information, rmitchell@mitchellsandham.com or (416)862-5620.